If you have a Nexus 5 device, you can now use Google Wallet to tap and pay in stores with any carrier. We look forward to bringing NFC tap and pay functionality to more Android phones soon. Now that doesn't exactly mean every device running Android 4.4 — it specifically refers to the Nexus 5. And in that respect, nothing has really changed just yet. 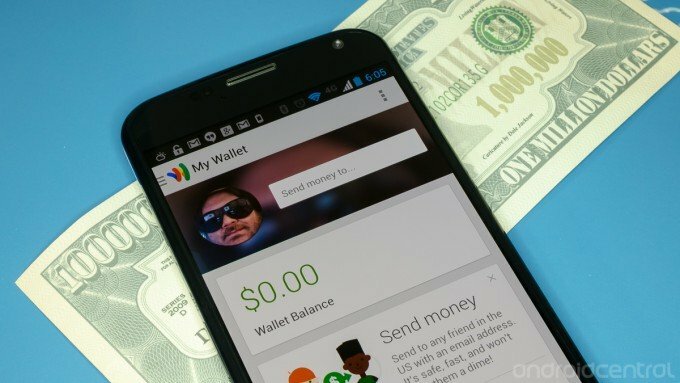 The Google Wallet support page, which has been updated to reflect the Nexus 5 and Android 4.4 announcement, currently lists every device that is able to use Google Wallet tap and pay and the caveats associated. At this time, tap and pay functionality is not supported for devices purchased internationally. The eligible device list above only applies to devices purchased from the listed carriers next to them. For example, an unlocked Samsung Galaxy SIII purchased internationally will not work with Google Wallet tap and pay. The future of NFC payments on Google Wallet may be a bit brighter with the announcement today that Google Wallet will technically work for tap and pay without a secure element or carrier approval, but nothing will change until we see how Android 4.4 makes it to these carrier devices. If you are coming from another Nexus device and getting a Nexus 5, functionally nothing has changed in terms of Google Wallet NFC payments. Google wallet tap and pay already doesn't work on Verizon, where the Nexus 5 isn't headed anyway. It is supported on the Sprint Galaxy Nexus, as well as with any unlocked Galaxy Nexus or Nexus 4 with a T-Mobile, AT&T or other U.S. GSM carrier SIM ​— the same being true for the Nexus 5. Let's just hang tight on this one and see how it plays out — we all know the wireless industry is far from a world of absolutes.